Grade: C8-C9	Very Fine to Near Mint. Rolled, single-sided. 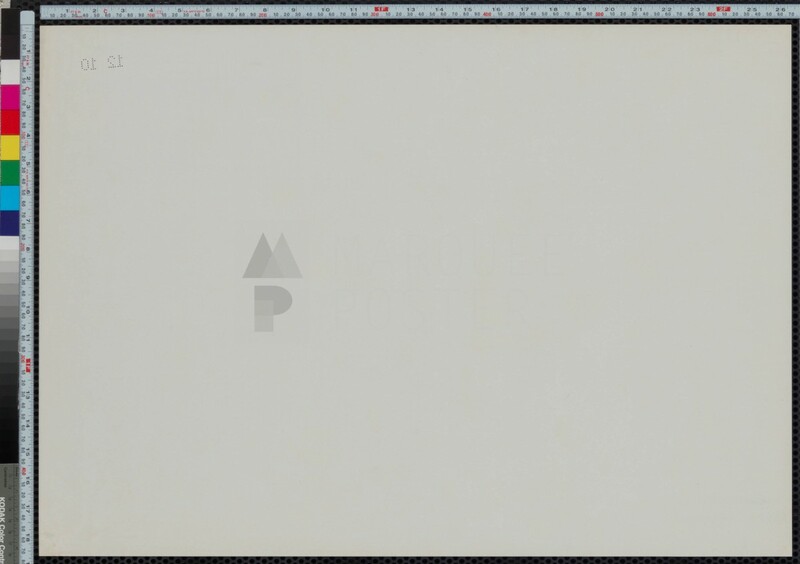 Very minimal handling/edge wear, tiny bit of wear to lower right corner, official numbers punched through title block but those are common on all photobustas from the era. 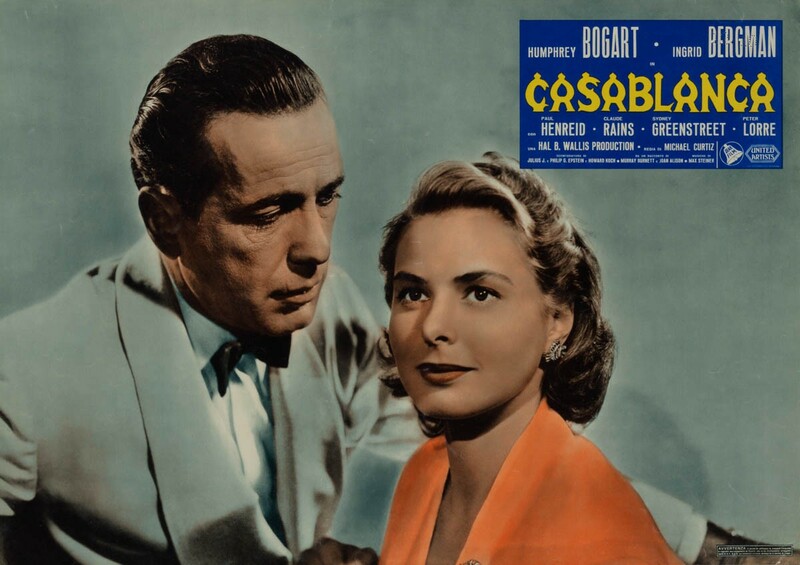 If not the greatest, Casablanca is certainly one of the greatest films of all time, and nearly all the posters for this title have been on fire lately! In fact, many posters have doubled (some of the US formats have quadrupled!) in value over the last few years. 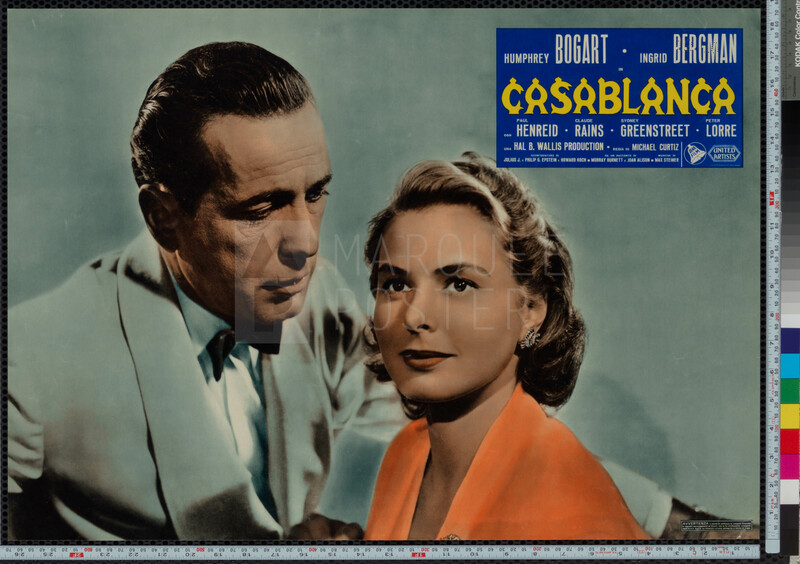 This rare 1962 re-release Italian photobusta has one of the most incredibly detailed portraits of Bogart and Bergman from any country. Additionally, it has never been folded! I can’t recall seeing many — possibly any — unfolded Italian photobustas before, especially not for such a prominent and important film.